Have fun talking about shapes with this fun printable BINGO game for kids! My kiddos love using our pattern blocks for free play, creating images, and playing Pattern Block BINGO! It is a great simple game that my 3 and 5 year old enjoyed playing. 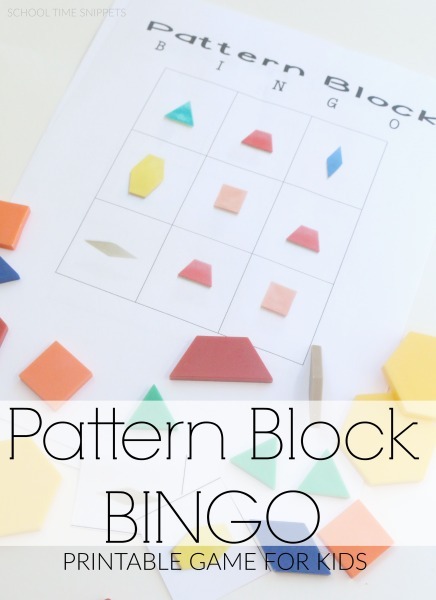 Begin prepping your Pattern Blocks BINGO Game by printing out your gameboards. Laminate them for durability. Print and laminate the pattern block "call cards," too. Cut the "call cards" out and place them in a bag or container. 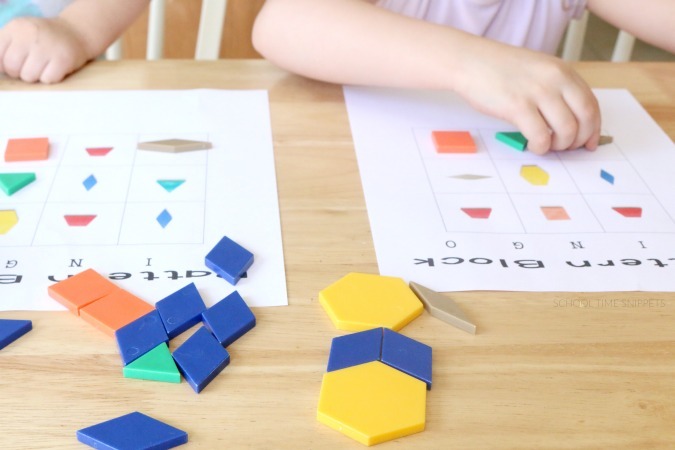 Set your pattern blocks out to use as manipulatives. You may also use bingo chips or something else for your BINGO markers. Begin playing by calling out a "call card." 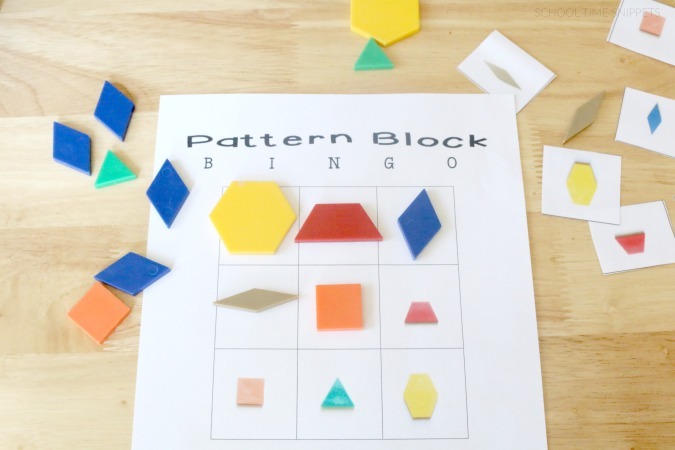 Have your child place a pattern block manipulative on their gameboard if they have that shape. Continue playing until someone calls, "BINGO!" Print your Pattern Blocks BINGO Gameboards Here! More fun with Pattern Blocks!